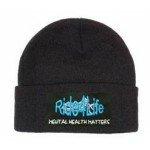 Ride4Life are building a range of attractive and quality merchandise to promote the organisation and the cause. If you choose to collect your shirt then it will be available at the pre-ride function or on the morning of the ride. Earlier collection possible by arrangement with Rick Oates. These quality attractive polo shirts feature the Ride4Life logo and slogan embroidered on the front. 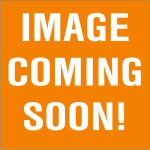 These shirts are top quality and will last you for years. On the back, our slogan, "Mental Health Matters" appears in large print. Pre orders being accepted and will be mailed out in time for the 2017 Extra Dollop Ride. Click on link for sizing and orders. This is where you order the embroidered name on you garment. You can order up to 2 names at a time and place the names in the comment at checkout. Follow the link and read the instructions. 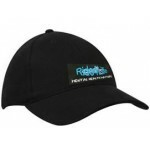 A smart cap with embroidered logo and website address on the back. You can have any colour you like as long as it's black. 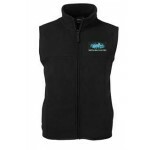 Ride4Life Polar Vest with embroidered logo. 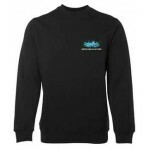 Quality fleecy sweatshirt with embroidered Ride4Life logo.